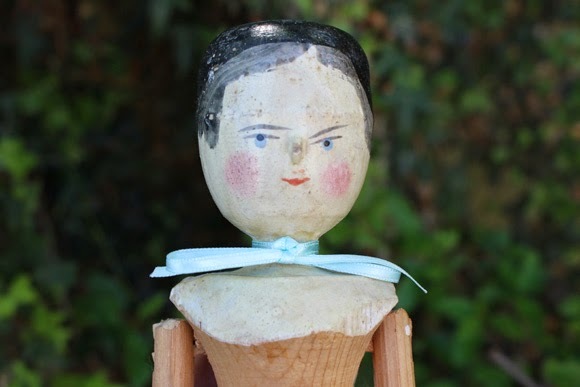 Like the vintage wooden dolls in this post, this stunning Lucy Sylvester ring was a gift to me for my birthday at the start of September - and I've scarcely had it off my finger since! 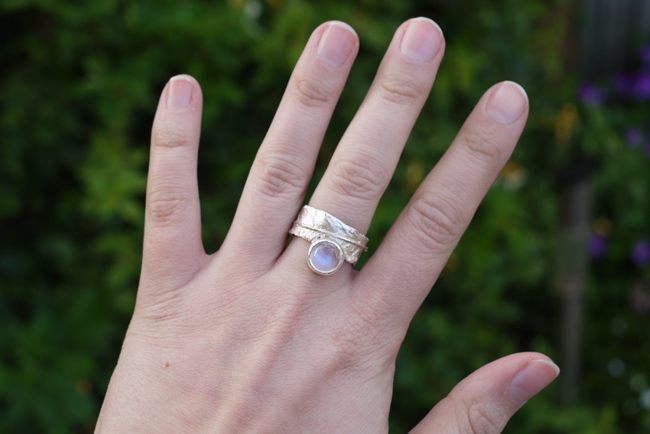 Bought from one of my absolute favourite jewellery shops, Brighton's Jewel Thief, the ring takes the form of an intricately veined silver leaf that wraps around the finger as a drop of beautiful moonstone clings to the leaf, its haunting colour changing with the light. Below you can see some of the texture and veining on the leaf . . . 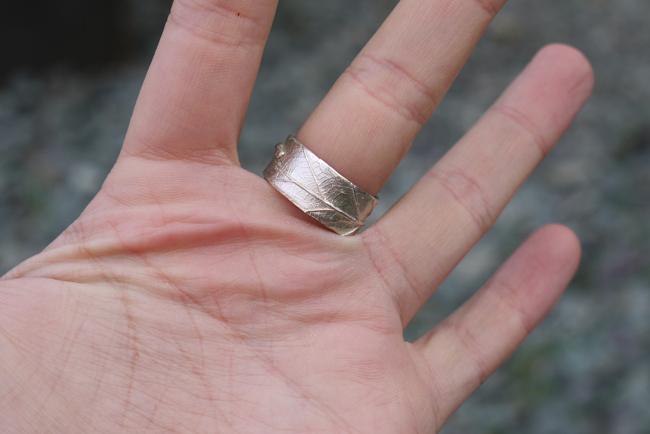 Cast of solid, hallmarked silver, the ring isn't over-heavy but feels just right; substantial - not delicate and breakable. I absolutely love it! 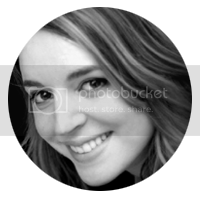 If you like what you see, please read on for more about its creator - Lucy Sylvester. 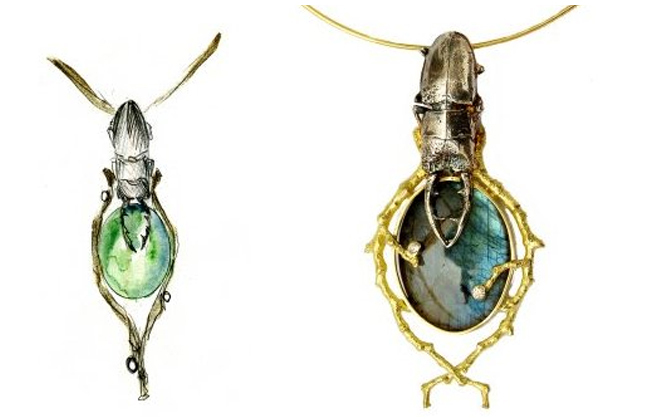 Profile: Since completing an MA at Birmingham's School of Jewellery, Lucy has been working from her Oxfordshire studio. Working in silver, gold and platinum, she introduces colour through chemical treatment of the metal to enhance fine details and textures, also through faceted or uncut stones. 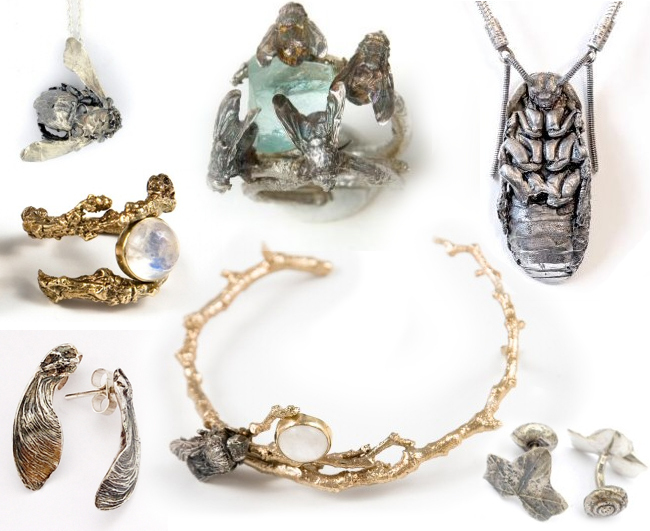 "I walk in the countryside to collect delicate seedheads and insects, I'm interested in finding things that would decay into the ground, turning them into precious wearable objects. With climate change affecting our wildlife, my work may become a record for the future of the insect and plant life we have today." What do you think of Lucy Sylvester's designs? I'd love to know!